Story dated October 11, 2004, updated November 15, 2004. One of the rarest games of modern times has to be Capcom's Big Bang Bar. Only 14 prototypes were ever produced and it is generally regarded as the best game never to reach production. Those who have played it have rhapsodised about the gameplay and the playfield toys but when one was destroyed in a fire, the prospect of being an owner became even more remote. But that could be changing if one man has his way. 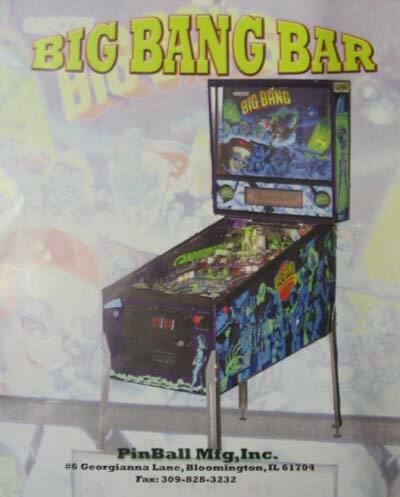 Illinois Pin Ball Co. owner Gene Cunningham has unveiled his plans to make a production run of 111 Big Bang Bar games. 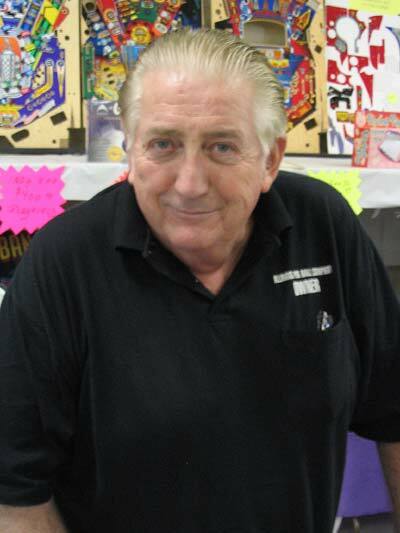 Gene is well know as the man who bought the rights to much of Williams' pinball interests but he also bought the remains of Capcom when they withdrew from the pinball business. He owns some of the parts for the game but many others need making from scratch. Gene told Pinball News he had already invested $150,000 in the project and expected that to triple by the time production is complete, which he estimates will take between four and six months. How will these new Big Bang Bars differ from the original? To start with, the cabinet artwork will be in the form of decals and not silk screened as the originals were. The bright blue flashers underneath the ramp will use a different controller and there is the possibility (depending on demand) to change the game code to fix any bugs. Other custom parts will be made by copying the originals, so may differ slightly in appearance. The games will still be branded "Capcom" despite being made by a company called Pin Ball Mfg Inc. This is a company Gene set up for the purpose of making the games and was necessary because Williams' licensing agreement with Illinois Pin Ball prohibits that company making any games. The proposed number of 111 games is a strange number but consists of 100 production games and 10 prototypes plus one for Gene himself. There will be special gold effect trim for games 2 and 100 with game 1 having genuine gold parts valued at around $2,000. Some games will also have ownership plaques with the serial number and the name of the purchaser. None of this comes cheap of course. Standard games will cost $4,500 with an optional gold effect upgrade for $250. Game 1 with the real gold will cost $12,000. Purchasers will have to pay half in advance before the games go into production and the remainder on delivery. Production will proceed when more than half the games have been pre-sold. Gene is keen to ensure a wide geographical distribution for the machines so has initially limited sales to one per person, though that would be difficult to enforce. The game already has a prototype flyer, which we can exclusively show you here. 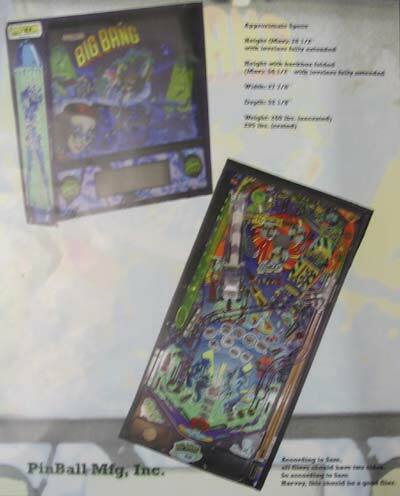 They should be ready for distribution in time for Pinball Expo. By the end of Pinball Expo, Gene had received 121 registrations of interest. Not all of these will turn into firm orders, but the trigger level of 55 registrations had been easily passed, so the process could move on to the next stage. This week, Gene sent out letters to those registrants asking for their 50% deposit. The letter also asked for the buyer's preferred serial numbers, an area where there are likely to be some disputes but if those can be resolved and all 110 games have confirmed orders, production can be started. You can hear Gene talking about the serial numbers and read what he had to say at Pinball Expo in our detailed report here.